NMM 7848. 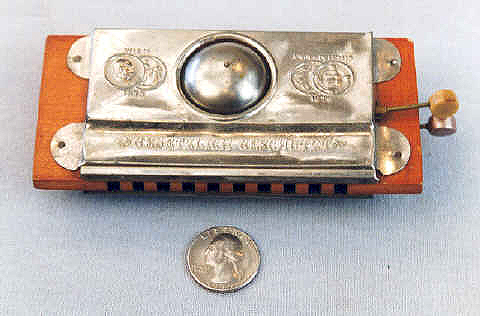 Recessed Bell harmonica, ca. 1895. A rare example with one bell recessed into the cover plate on each side. Alan G. Bates Collection, 2000.